What is a good « sound archive recipe »? Firstly, it is important the recipe gives all the elements necessary to contextualize the archive. 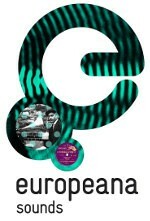 It is not only a list of ingredients we want to disseminate but a social sciences research, its background and purpose. So the context is really essential. For example, the recipe of bread baking explains how was organized a collective village oven: Who lights the oven? How many times in a month? What can you bring in it? Do the villagers put all together their breads in the oven or do they have to be baked in a precise order? How long does the bread dough takes to rise. What kind of wood was used? Who then cleaned the oven at the end? Secondly, the copyrights of the recipe recording must be free or cleared and all ethical and legal issues resolved before being made available on line. Sometimes we listen to a wonderful recipe but we don’t have the rights to disseminate it. Luckily, the traditional recipes circulate and there are several versions in our archives, it helps For example, I listened to an interesting recipe from the Alps which explained how to conserve goat cheese in a pumpkin. When we ask the right holder(the daughter of the witness) an agreement, she refused her mother’s voice to be disseminated. We search this recipe in other interviews and found more which explained this way to preserve goat cheese and these witnesses authorized the MMSH Sound Archive Center to disseminate their interviews on line. Thirdly, the witness has to explain clearly all the ingredients and the making process. It is sometimes difficult because the archive does not always come with good sound quality, witnesses are old and their voices are sometimes hard to understand. For example, the Provençal fish soup by a fisherman from Sormiou (a rocky inlet in the harbor of Marseille) is well explained in a very precise way, with tricks: the laurel breaks the taste of the fish, do not chuck the small fish or how to do the real “rouille”. Besides, the vernacular way of speaking of the fisherman deeply rooted in the Marseille slang and local storytelling way, gives us more insights from the southern French culture. Fourthly, the MMSH Sound Archive’s Team likes recipes with ingredients linked to the witnesses’ local products or to their history. For example, the Sound Archive Center preserved interviews recorded with first and second generation refugees who arrived from Asia Minor in 1922 and settled on the Syros island. They learned pastry cooking in Smyrna and, as refugees in Syros with not a penny in pocket, they began to cook and sold sweets: loukoums and kourabiedes are now a culinary specialty of the Island. We like also when informants explain how they used plants and their ethnobotanical knowledge of the area, as in these recipes in Provence with borache and nettle, dandelion, chives and tarragon. Fifthly, a good recipe in our sound archive must also have this little something that you can’t really express or define : something in the voice, feelings in the interaction between the witness and the researcher, silences, laughters and emotion,,… As in this interview, on the little Brusc’s harbor (Var, South of France), you will listen to this fisherman working and speaking with the ethnologist and you will know that eating salema porgy should give you bad dreams but also how in an interview, the sound of silence of the speaker is so much essential, being meaningful for the witness’s memory, helping him to live again the recipe in his mind. The thing is, you never know what you will discover, listening to these records in the field! But for sure before writing posts, we cook and the MMSH Sound Archive Center team tastes every recipe… so at the very end it has to be good and tasty! 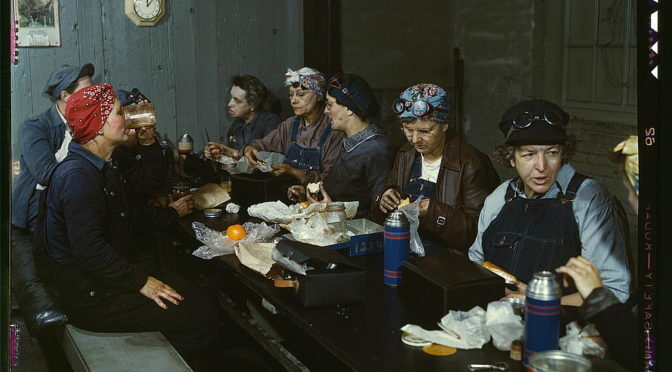 Credits: Women workers employed as wipers in the roundhouse having lunch in their rest room, Clinton, Iowa, Delano, Jack,, photographer, 1939, Libray of Congress, No known copyright restrictions.